The Gabon sports minister Alain Bilie By-Nze has asked the country’s football federation (Fegafoot) to find a new national team coach within 60 days at the same time disbanding the national team to pave way for new players. The abrupt decision I mean that current coach Daniel Cousin’s contract has ended after he failed to lead the team to the Africa Cup of Nations finals after they lost to Burundi. The 42-year-old formally signed a contract earlier in March despite being confirmed as coach in September. 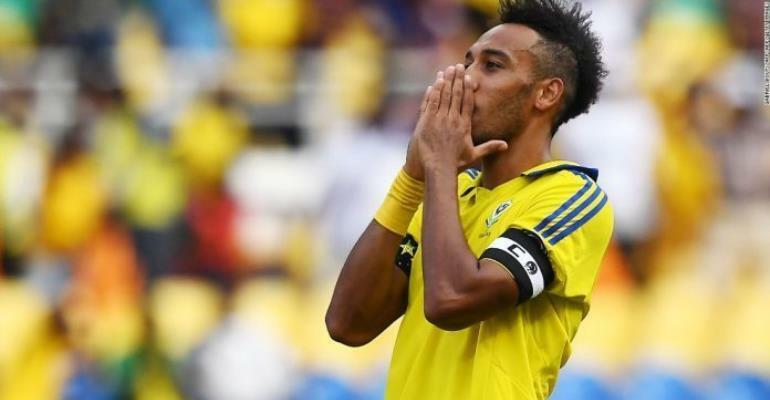 His contract was for 10 months and set to end soon after the Nations Cup finals in July, however, the deal included a clause if Gabon failed to qualify. “In case of non-qualification of the national team at CAN 2019, the contract may be broken by mutual agreement of both parties,” the deal stated. By-Nze, whose ministry is responsible for financing the national team, wants that clause enforced. “We have given Fegafoot the mission to put an end to the contract of the current coach,” he said. He went onto say that he wants to create a “winning momentum” for the team. His speech also included his plans for the future. “We will rebuild the national team on a new basis, by sidelining all those who showed a lack of will, a lack of patriotism, and who have put forward financial gain while forgetting the nation and team spirit,” he said without naming any specific players. The former Hull City and Glasgow Rangers striker was in charge of Gabon for four Nations Cup qualifying matches as he recorded two wins against South Sudan – home and away, lost to Mali at home and drew away to Burundi.